Which Berber carpet manufacturer you buy your Berber carpet from can make all the difference in your satisfaction with this beautiful carpet. It may sound hard to believe at first, but it is the truth. I’ve seen Berber carpets that looked great after many years of use, and I’ve seen it that looked terrible after a few months of use. Choosing the right carpet fibers is part of the issue, installation is another key to lasting Berber, but the Berber carpet manufacturer is the biggest key to quality, long-lasting Berber carpet. So Almost every single one out there insists that they have the best quality product and this doesn’t help you in any way? How do you choose the best carpet manufacturer out there? Read on to find out. Berber carpet is one of the most popular carpeting choices today. This carpet is known for its tight loops of yarn that looks great in almost any room in your home. Berber carpet has many different qualities, just like any other product, so it is important that you learn as much as possible about the carpeting so you can make the best decision for you and your money. One thing that overwhelms many consumers is that there are so many Berber carpet manufacturers. How do you determine the one that you should trust for your carpeting? Does the carpet manufacturer that you are considering have a good track record? Have you heard the name before? If you have never heard the name of the company then it may not be a company that you can trust. Ask friends and family for advice. If they have purchased carpet or other flooring then they are sure to have information about different companies, both good and bad. Talking to different carpeting store sales people will let you learn a lot about the different manufacturers too. A carpet installer is another good source for information about a specific Berber carpet manufacturer. They will have information that you will find invaluable in your Berber carpet manufacturer search. The internet is probably another place you may not have thought about before. 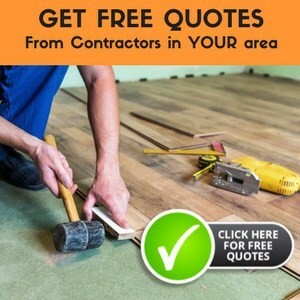 But there are numerous blogs and forums that discusses various aspects of home renovation at length, and chances are that you will find a thread that relates to carpets. In such forums, you will come across people who have actually used these carpets and hence will be in a better position to offer advice on the same. Price shouldn’t necessarily be your main consideration when choosing your Berber carpet. Quality should be your main goal. Of course, staying on budget is essential, but finding a quality Berber carpet that fits your budget should be your main goal. That is why it is so important to learn about the different kinds of Berber carpet so that you can find the highest quality of Berber carpet that fits your budget. Keep in mind that buying a carpet is not a monthly affair. You probably would want to use it for atleast a few years. Therefore, if by stretching your budget a bit you are able to buy a better quality one, our advice is that you go for it. It would be worth it in the long run. The warranty offered can tell you quite a bit about the Berber carpet manufacturer and the carpet itself. A longer, more comprehensive warranty tells you that the manufacturer has quite a bit of confidence in their product, which can help to make you more confident in their carpeting. A short warranty that does not cover many potential problems can lead you to think that the Berber carpet manufacturer has an idea that their carpeting may give you problems and they are not going to stand behind their carpet. Keep that in mind when choosing which Berber carpet manufacturer that you are going to purchase your carpeting from. Berber carpet can be an investment in your home. You want your investment to last as long as possible, don’t you? Learning about different Berber carpet manufacturers and Berber carpets will help you to find the carpeting that you will be satisfied with for many years. After you choose the right carpet, it is important that you choose a qualified carpet installer to make sure that it is installed correctly. Improperly installed carpet can cause it to wear out much faster, which can cost you more money in the long run. Improperly glued seams will be glaring, ruining the look of the carefully crafted Berber. Carpet that is installed correctly can help to increase your satisfaction level with your purchase as well. Choosing a Berber carpet manufacturer does not have to be overwhelming. By researching their track record, quality, and warranty, as well as having the carpet installed correctly will enable you to find a manufacturer that you can trust.